LP is a powerful community leadership development program for persons who wish to take an active role in Pasadena's future. Over 8 months, Leadership Pasadena participants do a "deep dive" into all aspects of Pasadena life--learning about local government, business, arts, science, history, regional economics and more. They discuss and debate issues with the Pasadena's top leaders. 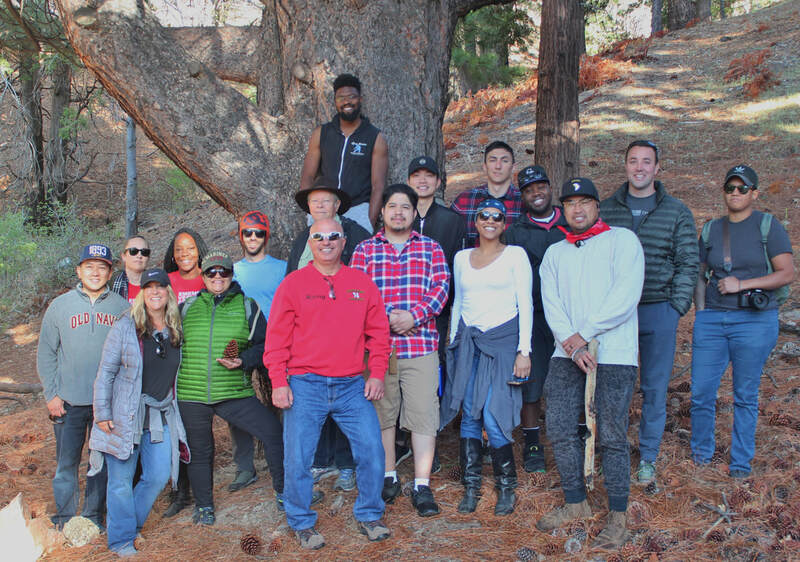 They also enhance their leadership skills through state of the art leadership training and completion of a community service project for Pasadena. Leadership Pasadena offers in-house training for civic, governmental and non-profit staff members and key volunteer leaders to increase their understanding of the cultures and fabric of all sectors of the Pasadena community to improve their leadership effectiveness. Our training is unique as it is lead by Pasadena community experts who know how to lead Pasadena organizations, appreciate Pasadena's diversity and understand the city's governmental structure and city's culture. We are also versed in the management and motivation of volunteers. We are long time residents and love the Pasadena community. And, as we are a non-profit organization, our assistance to your organization is extremely cost effective. The Leadership Pasadena's Course for Veterans re-missions our veterans as leaders through community service to the San Gabriel Valley. The course increases the veteran’s knowledge and understanding of the San Gabriel Valley; sharpen and deploy their existing leadership skills in service to the community; open doors to expand and diversify their network which will help with career advancement and building a civilian social community. We partnered with Leadership Pittsburgh to bring their nationally award-winning leadership course for veterans to Pasadena in 2018. Individuals interested in working with us should email us at info@leadershippasadena.org with VETS in the subject line. The Community Leadership Course for VeteransTM Initiative was created in Pittsburgh, Pennsylvania in 2014 by the regional leadership institute, Leadership Pittsburgh (www.lpinc.org) and is generously licensed to Leadership Pasadena, free of charge. Please see our "pull down" menu under this PROGRAM tab for details on our Community Leadership Program and our Community Leadership Course for Veterans!